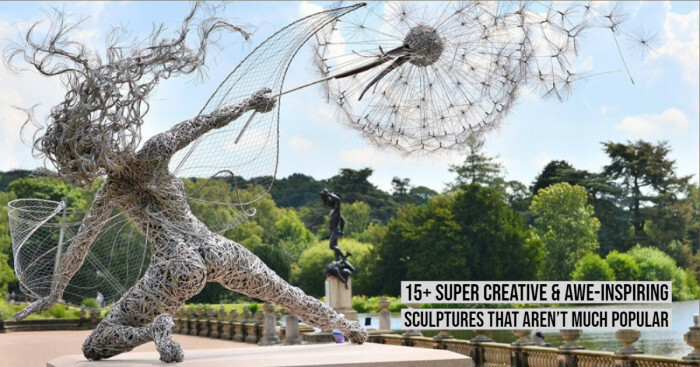 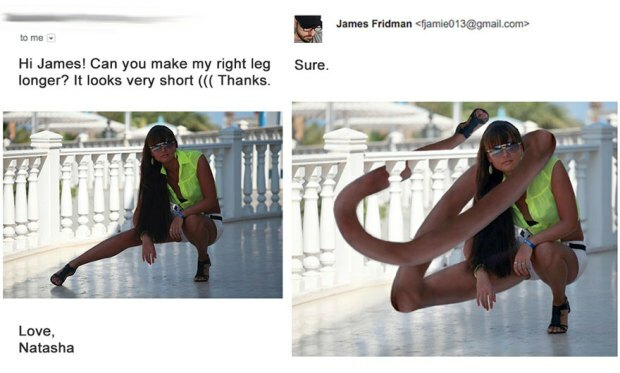 Photoshop is a familiar term for everyone. 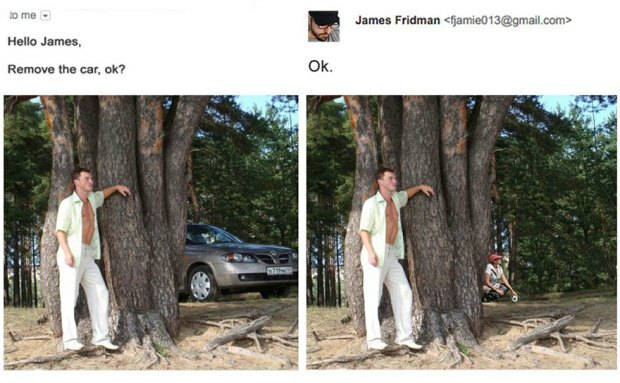 There is no one among the photography geeks who isn’t aware of this tool. 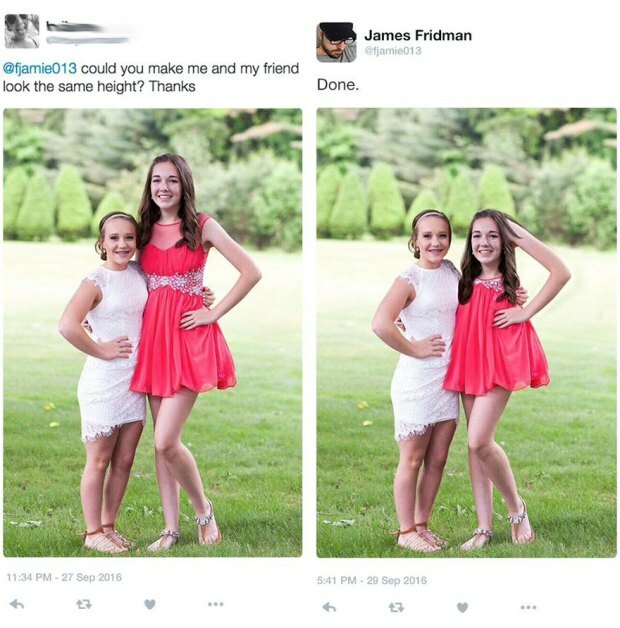 It helps to edit your photos and all that you can imagine to edit your photos can be done through Photoshop. 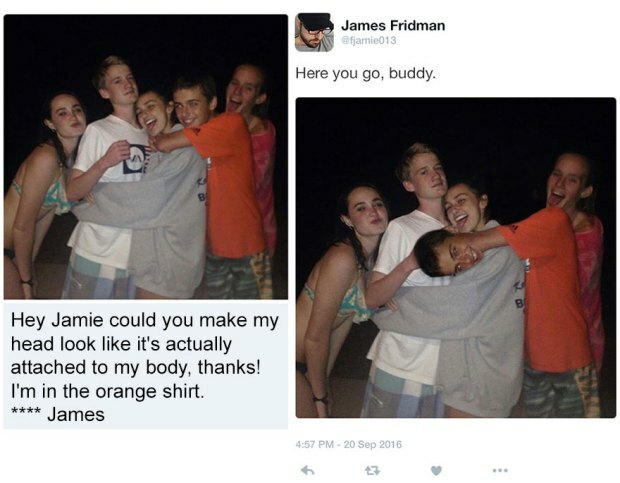 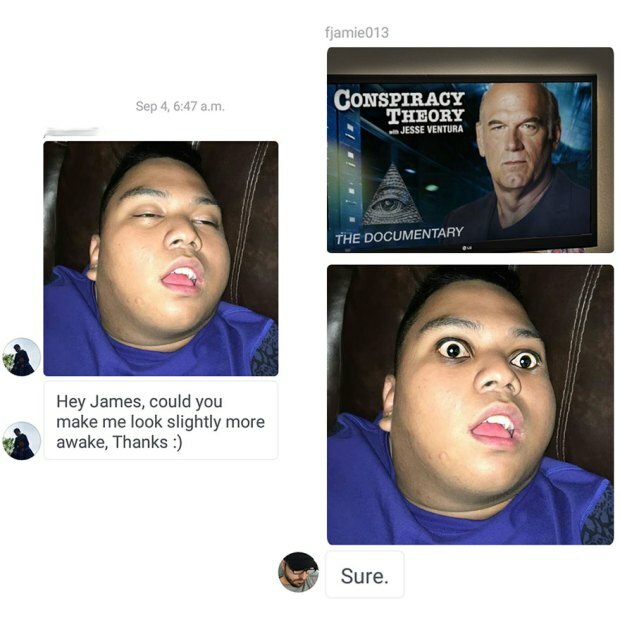 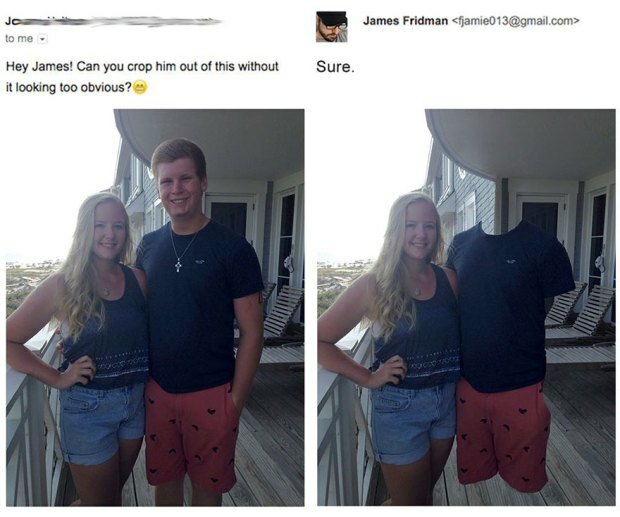 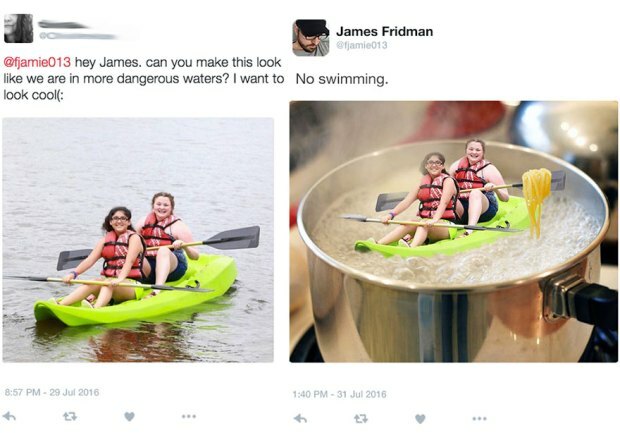 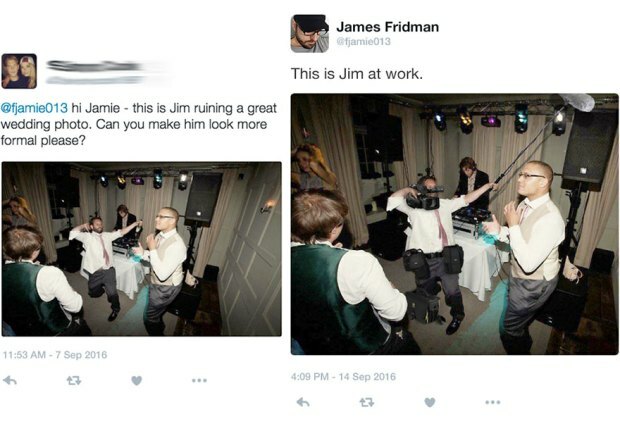 James Fridman is a Photoshop troublemaker who does some hilarious photo editing that you could have never visualized. 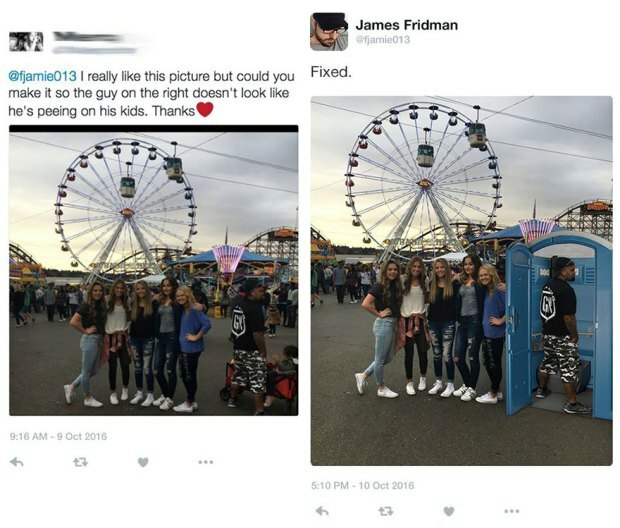 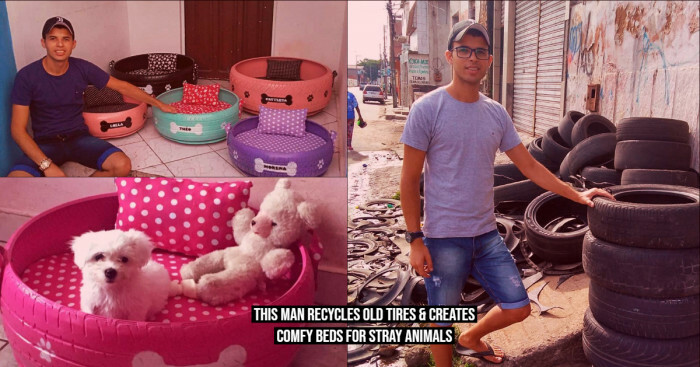 The person is in huge demand and people ask him to fix their snaps and they get the results with a little more they had bargained for.